Lichens make up a major component of Antarctic vegetation; they are also poikilohydric and are metabolically active only when hydrated. Logistic constraints have meant that we have little idea of the length, timing or environmental conditions of activity periods of lichens. We present the results of a three-year monitoring of the activity of the lichen Umbilicaria aprina at Botany Bay (77°S latitude) in the Ross Sea region, continental Antarctica. Chlorophyll fluorescence parameters that allowed hydrated metabolic activity to be detected were recorded with a special fluorometer at 2- or 3-h intervals. Air and thallus temperatures and incident PPFD (photosynthetic photon flux density, μmol photon m−2 s−1) were also recorded at hourly intervals. Activity was extremely variable between months and years and, overall, lichen was active for 7% of the 28-month period. Spring snow cover often delayed the onset of activity. Whereas the period immediately after snow melt was often very productive, the later months, January to March, often showed low or no activity. Mean thallus temperature when active was just above zero degrees and much higher than the annual mean air temperature of −15 to −19°C. Because major snow melts occurred when incident radiation was high, the lichen was also subjected to very high PPFD when active, often more than 2,500 μmol photon m−2 s−1. The major environmental stress appeared to be high light rather than low temperatures, and the variability of early season snow fall means that prediction of activity will be very difficult. Dedicated to Prof. Dr. Roman Türk on the occasion of his 65th birthday. B.S., S.P. and M.S. gratefully acknowledge financial support by Deutsche Forschungs-Gemeinschaft (DFG SCHR 473/4-3) and by Spanish MCI (CTM2009-12838-C01). TGAG thanks Professor Bryan Gould, Vice-Chancellor of Waikato University for continual funding of the Antarctic research programme. Antarctica New Zealand is thanked for providing logistics both for the research in Antarctica and movements to Antarctica and their staff for assisting with reading and removal of the monitoring equipment. 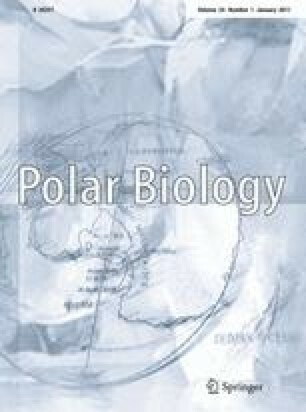 TGAG was supported by Ramon y Cajal Fellowship at Vegetal II, Farmacia, Universidad Complutense, Madrid, Spain, and by FRST grant—Understanding, valuing and protecting Antarctica’s unique terrestrial ecosystems: Predicting biocomplexity in Dry Valley ecosystems, during the writing of this paper. A special thanks goes to Prof. Ute Harms, IPN, Kiel, Germany, for support to BS.